Trying to pin down what alternative legend Beck is going to do next are odds most in Vegas wouldn’t take. From hazy folk to quirky alternative to unrecorded sheet music, he’s kept his career eclectic and frustrating. 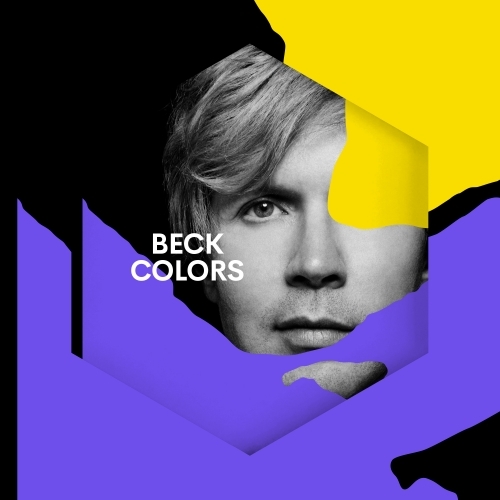 After a surprise Album of the Year win for Morning Phase nearly 3 years ago, Beck has finally released his follow-up album, Colors, and he’s gone as pop as he knows how to get. The album has already met with mixed response, with Stereogum panning it and MC Hammer praising it. I’m closer to the MC Hammer camp. During points of the album, it seems Beck may not have been sure how exactly to craft a radio-friendly pop song anymore, so he took (heavy) inspiration from others. Current single “Up All Night” is a fairly straight-forward party jam, with Beck singing “I just want to stay up all night with you”, but if you’re like me, you may find yourself then hearing Justin Timberlake singing “Dance dance dance” from his hit “Can’t Stop the Feeling”, as the songs carry a similar beat (Beck‘s song just has more guitar). Earlier single “Dreams” cribs heavily from MGMT‘s “Electric Feel”. For a true original like Beck, there is something disappointing in this. But, the songs will still have you on your feet, singing along. And they are far more fun and listenable than anything on the sadly mediocre Morning Phase. And there’s still plenty of the expected Beck-weirdness on here for his old-school fans. The opening title track is sprinkled with pan flutes, synths and carried by steady hand claps, before breaking down into a angular dance rock tune. “Wow” is another off-kilter psychedelic trip that will interest his older fans but confuse anyone who first heard of Beck when he sang “Dreams” with Taylor Swift at one of her shows. The album also has some far more traditional rockers, but they are also a mixed bag. “So Free” is a banger, with grungy guitars building up to a chorus that can get an audience jumping. “No Distraction” has a similar build up, but instead of taking the song to stadium-rock heights, it deflates to a ska-ish indifference that feels like a throwaway Police rip-off. Beck also recalls his moodier folks albums with “Dear Life”, which opens with a saloon piano shuffle before the fuzzier lament of “Dear life, I’m holding on.” It still has Beck‘s signature hip hop delivery, but there’s a melancholic trembling in his voice that gives the track more heart than you would expect. Then there is “Seventh Heaven”, one of the warmest songs on Colors, with upbeat harmonies and Beck crooning “Oh can’t I stay here with you? Now I’m dead to the world in your seventh heaven”. It’s the closest thing to a clear love song on the album, and one of the best tracks he’s written in years. Beck can be too weird, and he can be too boring. When he finds a happy medium like he does here for most of Colors, he’s able to craft and enjoyable rock album that may not be classic, but will certainly not engender much hate (outside of Stereogum).